Stan Lee, creator of Spider-Man and most of the Marvel Universe, is campaigning for a new Oscar category to be created: Best Cameo. 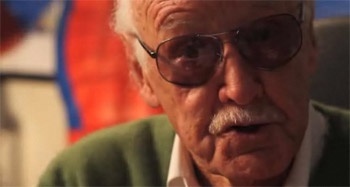 You might know Stan Lee for his work in the realm of comics, but you might not have known that he is also one of the leading cameo actors in the world. According to Lee, cameo acting is one of the most overlooked types of acting, and yet one of the most pivotal, and this is something he hopes to redress. In a compelling plea to the Academy, Lee talks at length about the importance of the cameo, saying: "People think that cameos are fluff and nonsense. Dead wrong! ... Walk on, drop the moral message of the whole movie, walk off. Boom! ... You can talk the actors out a movie, and it still works; [but] you can't cut the cameo, without killing the flick." Obviously it's all tongue-in-cheek, but at the same time, the thought of Stan winning an Oscar for his cameos tickles me to no end.